Here’s something that has popped up on my feed and also readers emailing in about it but I questioned whether I should post about it or not. 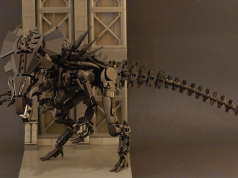 You may have heard of a few well-known builders in the LEGO community like The Arvo Brothers, Firas Abu-Jaber, Paul Boratko (CrowKillers), and Bangoo H, many of which have been featured on The Brothers Brick and other LEGO sites. 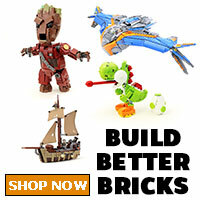 Their LEGO builds are an envy of many builders who have tried to replicate themselves or take inspiration from. The 29th Guangzhou Toy & Hobby Fair kicked off yesterday and there’s a Chinese “new” brick company who has appeared to be making sets based on the designs of some of the builders I’ve named above. In a post on Facebook, there are images of a company called Xingbao (星堡) who is owned by Meizi Model (美致模型), which is the same company that owns LEPIN, at the convention displaying some of the sets based off of the AFOL designs including The Arvo Brother’s Kaneda’s Bike and Alien, Bangoo H’s Laputa: Castle in the Sky music box, Fira’s Volkswagen Beetle, Ford GT, and Rolls Royce Springfield Roadster, and Paul’s Balisong supercar, just to name a few. It also appears that some of the designers have confirmed to have licensed their models out to the company. 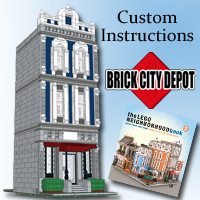 This new company is essentially helping AFOLs who want their models become easier to obtain by their followers who do not have time to BrickLink the parts or whatnot. This whole thing brings on a whole bag of worms with licensing to intellectual properties but more importantly, morals. 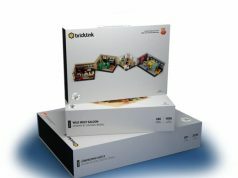 For LEGO purists, they will most likely not purchase these off-brand sets and try to recreate the models using official LEGO parts to their best of their abilities. There’s also one other side of the story. 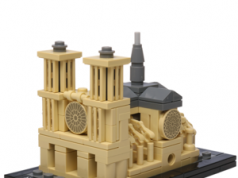 If you remember from last year, I did a post about LEPIN starting to produce AFOL designed sets. The designer would basically have their models stolen and would get no compensation whatsoever. Basically Xingbao is reaching out to AFOLs and asking them if they want their models produced and paying them compensation which is a step up but at the end of the day, they are still a knockoff brand. Chances are if you’ve been contacted, they’re already planning on making it through LEPIN. 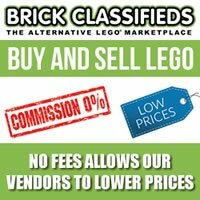 If you didn’t know yet, BrickLink has a service going for a while where you can sell your MOCs which uses actual LEGO parts. 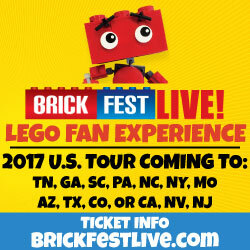 Now that LEGO Ideas has somewhat cracked down on restricting active licenses, will this sway AFOLs to Xingbao who want their models available to the public in an easier way?